You can add bread and pasta to dietitians aren't keen on recommending. But if it came down to it, which would win out? Such was the question when reaching out to Joel Feren, a practicing dietitian and spokesperson for the Dietitian's Association of Australia. According to Feren, bread is actually slightly better for you than pasta. "One cup of cooked pasta is a [serving], and its [calorie] content is a little bit higher than a [serving] of bread, which tends to be two slices," he tells the Australian health publication. "In terms of carbohydrate content, we have 42g of carbohydrate in the cup of pasta and about 30g in a [serving] of bread." 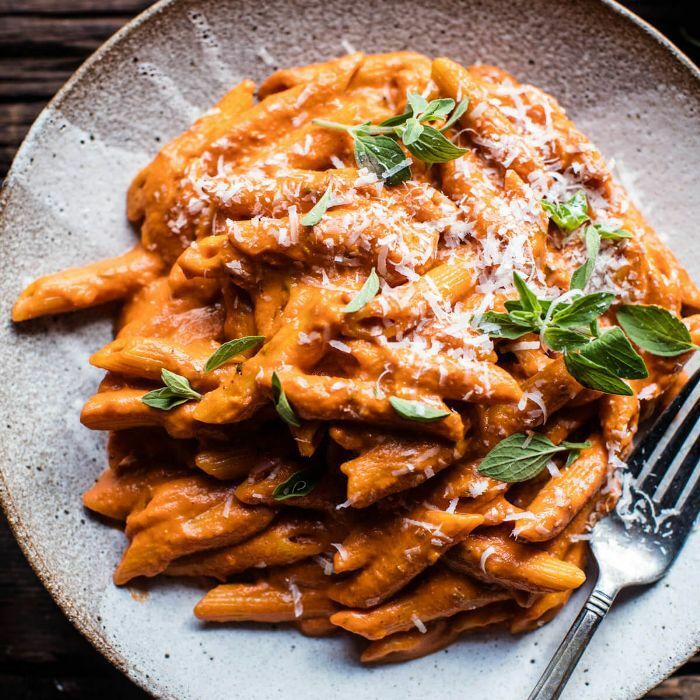 But before cutting out pasta altogether, consider the fact that pasta is a "low-GI energy source," which means it's "broken down over a longer period of time, so it's actually going to sustain us," explains Feren. The problem isn't so much the pasta as it is the portion sizes. "People tend to overeat pasta," he continues. "Patients I meet in private will have a bowl of pasta and that's all they'll eat as a meal. I'll ask, where's the protein coming from? It's also about getting enough veggies." Feren recommends sticking to a one-cup serving of pasta and supplementing that meal with a side salad and a source of protein. What's more, you can opt for whole-wheat pasta, which has a bit more fiber than white. "There is also a good one with a special type of fiber called that helps reduce cholesterol," he concludes. "It's the same type of fiber found in oats." What's your favorite: pasta or bread? Share your pick with us below!